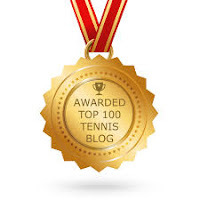 In his official website, Rafael Nadal congratulates Roger Federer for his amazing win at the French Open. Even during his last press conference in Paris, Nadal showed his support and admiration for Federer saying that he would like to see him win Roland Garros and become a legend in the sport’s history, because to him, he “is the one who deserves it most." 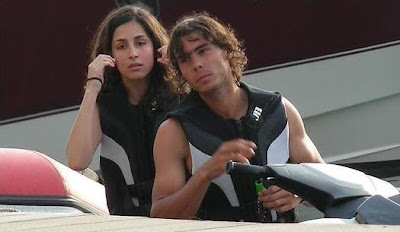 In the meanwhile, back in Majorca, Nadal enjoyed a day of messing about on a jet ski with girlfriend Maria Francisca Perello. 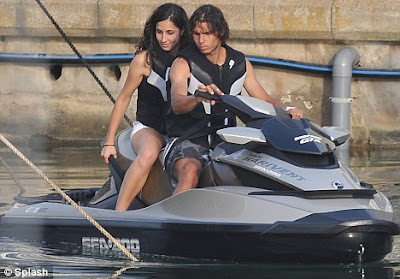 It is believed that the silver and black Seadog was a gift for Nadal who celebrated his birthday last Wednesday. 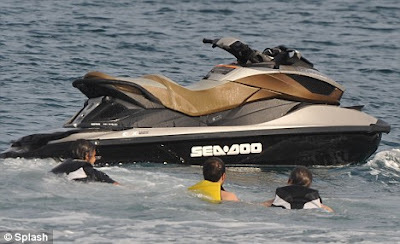 The pair then donned matching black life jackets before taking to the sea for an exhilarating high-speed ride. 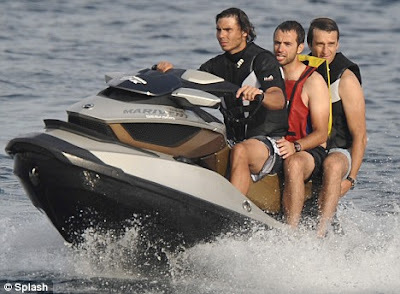 After going for a spin, the pair were joined by two male friends, who were keen to try out Rafael's new toy. In the latest development, Uncle Toni Nadal said that his nephew could miss this year's Wimbledon after withdrawing from next week's tournament at Queen's Club - seen as a warm-up to the main event - due to a persistent knee injury.